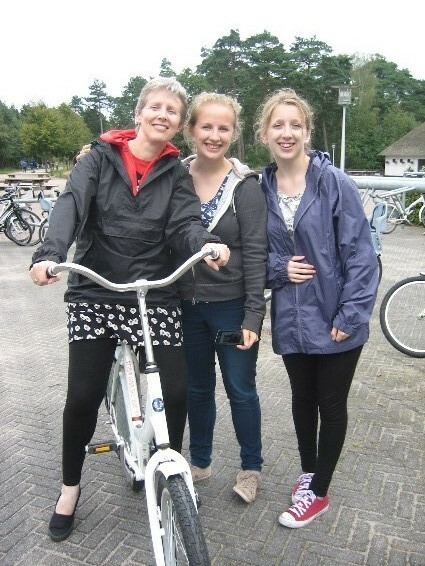 Me, Mum and my sister cycling around a national park in Apeldoorn. It’s happened guys. It’s really happened. The horribly distant third year has actually arrived, and it’s no gentle easing in like we’re used to. But before we get bogged down in all this work, let’s rewind. So I finished my fifteen week placement in Oxford. It was fab! I learnt so much, and feel more confident than I ever have that I can be a cardiac physiologist. I managed to complete all my assessments: it might have been a bit of a last minute rush, and I definitely wouldn’t have got it done unless one of my friends in the department dragged me round finding people to assess me (thanks Emma!!!). Though at the start of placement I would never have thought it, I was really sad to leave. Over 15 weeks you make close friends and really feel at home, especially living on site. But I had a lovely last day with lots of cakes and chocolate, and a sense of achievement to leave with. So placement had finished, and I finally get a rest? Well, kind of… My third year project proposal had to be submitted at the end of placement, so that was finished and sent off. I then went straight off to the Netherlands with my family for two weeks. It was actually pretty nice weather, and we did lots of sight-seeing and got to see some of my relatives out there. We went to the amazing Van Gogh museum in Amsterdam, climbed a lot of clock towers and discovered the Dutch love really good chips absolutely covered in mayonnaise – my kind of place! Family gathering on holiday with my uncle, aunt and their two dogs! Back to Blighty, and the chance to catch up with my friends from home. 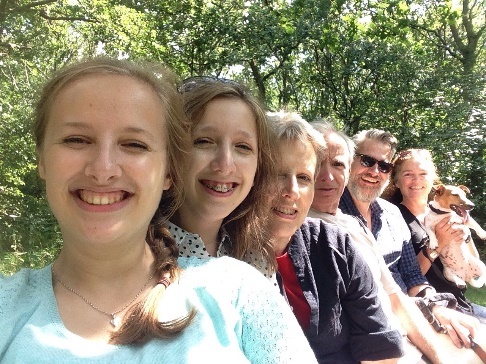 We drank lots of tea, celebrated some birthdays and wobbled about on Boris bikes in London. And then back to reality, with a lot of evidence from placement to be organised. We have to collect a large amount of evidence from placement as we’ve got to create logbooks for our course. ECGs have to be sorted through and analysed to see what rhythm they are in. Then they have to be filed away into the correct section of the logbook. Sounds pretty easy, but after I’ve looked at a couple of ECGs, my eyes begin to get tired and all the lines just look like swiggles! All the ambulatory evidence and exercise testing reports have to be filed away as well, which creates quite a stack of folders for your logbook! I can remember in our induction in first year having a lecturer who spoke to us about the importance of reflective practice and how it’d be third year before we knew it. Last week, I saw that lecturer for the first time since that day. She taught us about reflection again, and then told us that she’d spent the morning teaching the first years. I’m not very good at dealing with change: I once threw a hissy fit when my mum rearranged the kitchen and changed the drawer the cutlery was kept in… When people ask me about what I’ll be doing once I finish uni, I like to be as vague as possible to avoid seriously thinking about it. But that lecturer proved I’ve survived two years at uni, and I’m planning to be able to write to you next August to say I’ve managed to survive third year as well. We’re definitely back with a bang!